Different lighting scenarios for the interior lighting controlled digitally only when the car set is coupled to the basic train. Pantographs can be raised and lowered as a digital function only when the car is coupled to the basic train. The 39714 basic train can be extended with the 43724 add-on set and the individual 43725 intermediate car. 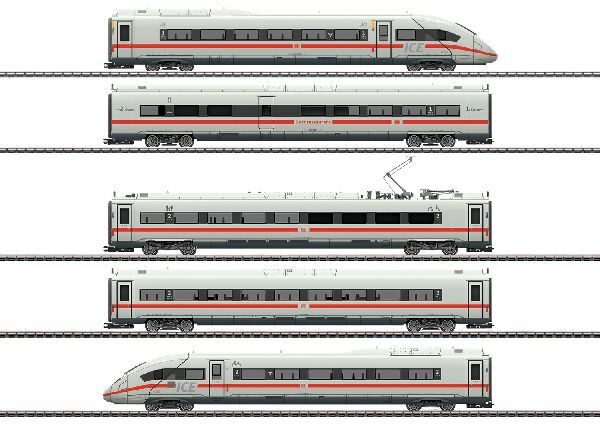 You can model a full 12-car ICE 4 by adding more individual intermediate cars. This add-on intermediate car for the ICE 4 can be found in a DC version in the Trix H0 assortment under item number 23972.